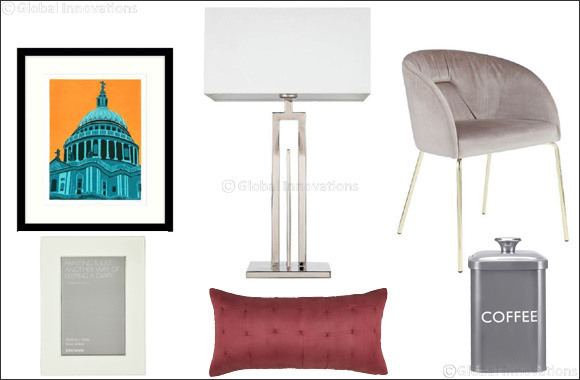 Dubai, UAE, October 09, 2018: This Autumn, give your home a picture-perfect seasonal update with John Lewis’s new Collectors House range, available exclusively at Robinsons in Dubai Festival City Mall. The Collectors House edition features a stunning selection of products for the home that celebrate modern luxury and add a touch of elegance to your living space. Based on the John Lewis archives, the new range draws from individual influencers and focuses on reimagined prints that can be found across textiles, décor and home accessories. This season, customers can choose from a great selection of super soft bed linen, cosy duvets and statement cushions to help you on your way to a restful night’s sleep. The Collectors House collection doesn’t stop there! Impress your guests with decorative accessories including exquisite table wear, chic and contemporary pieces for the bathroom and delicate Gold Base Martini glasses, perfect for entertaining at home. This Fall, transform your home with the John Lewis Collectors House range and add a touch of glamour to your interior space. The John Lewis Collectors House range is available exclusively at Robinsons Department Store, 2nd floor (Home department) at Dubai Festival City Mall.